Фотобанк Rusmediabank – лицензионные Фото, Видео, Музыка - Novosibirsk, Russia - August 5, 2018: Aerobatic team Russ on aircraft L-39 Albatross performs the program at the air show. 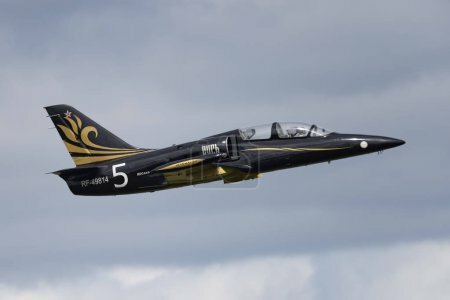 Novosibirsk, Russia - August 5, 2018: Aerobatic team Russ on aircraft L-39 Albatross performs the program at the air show. XL 5000 x 3338px 15 Mb.